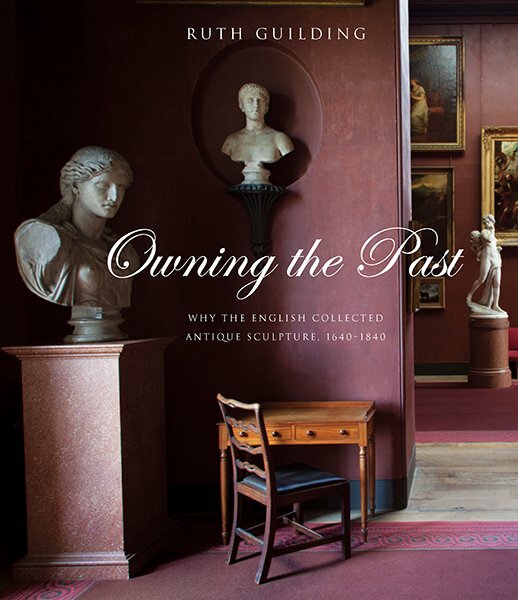 In a lively re-examination of the British collectors who bankrupted themselves to possess antique marble statues, Owning the Past chronicles a story of pride, rivalry, snobbery, and myopic obsession with posterity and possession. Analyzing the motives that drove “Marble Mania” in England from the 17th through the early 19th century, Ruth Guilding examines how the trend of collecting antique sculpture entrenches the ideals of connoisseurship and taste, exacerbates socioeconomic inequities, and serves nationalist propaganda. Even today, for the individuals or regimes that possess them, classical statuary performs as a symbol of authority or as the trophies of a “civilized” power. From Adolf Hitler posing for the press beside an ancient copy of Myron’s Discobolus to the 2002 sale of the Newby Venus for a record price of about $13 million to the Emir of Qatar, marble mania remains unabated. With insider access to private collections, Guilding writes with verve and searing insight into this absorbing fixation.